In the past, seamlessly transferring videos from your iPhone to your computer or vice-versa used to be a herculean and difficult task. However, now things have changed and have actually gotten easier. You now have a variety of options for your video transfer and we are going to dedicate the most part of this article to showing you a few ways in which you can send videos and other media files to and from your computer with your iPhone. Read on below to learn how it actually works. iMyFone TunesMate is on of the best third party media transfer which can offer the best transferring options from iDevice to PC because the application can transfer any type of video files. 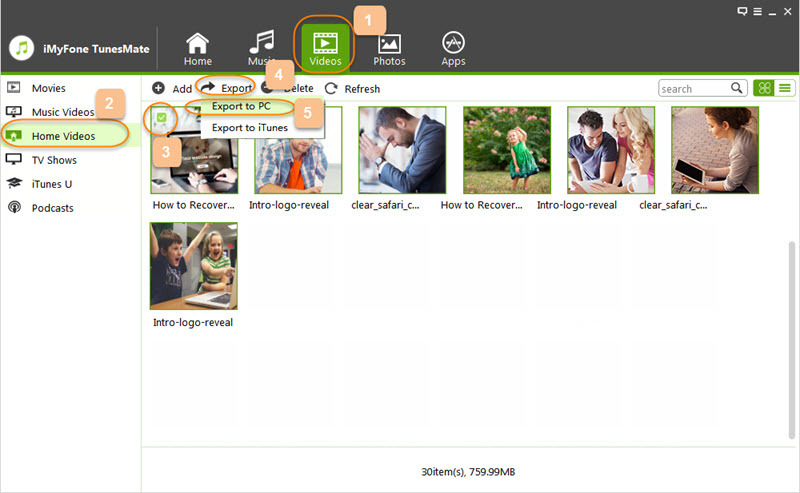 iMyFone TunesMate can also transfer data among unlimited devices, and preview the files before you transfer them. 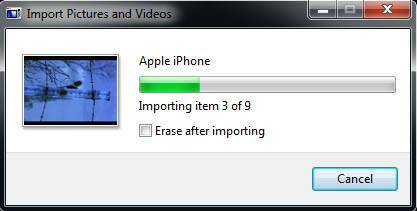 Effectively manage videos by importing, exporting, or deleting. The video format including Music Videos, TV Shows , Movies, Home Videos, iTunes U and Podcasts. STEP 1: Start the iMyFone TunesMate program on your computer and then Connect your iPhone to your computer via your USB cable. 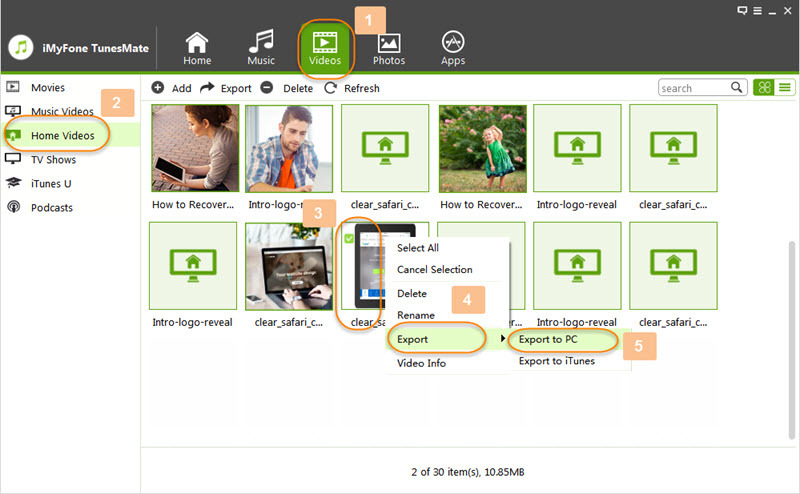 STEP 2: To transfer videos, click on the “Video” icon on the dashboard and select “Home Videos” from the sidebar menu to initiate a transfer. a. Navigate and find the video you wish to transfer and click on “Export > Export to PC” from the menu at the top to initialize a video transfer from your iPhone to your computer. c. A popup window will prompt you to select a destination folder. Once you “Select Folder” the export process will begin. 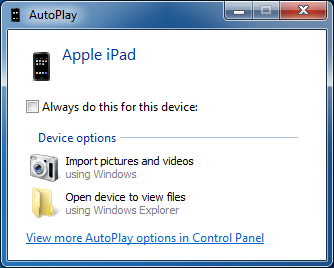 STEP 3: Choose "Import pictures and videos". 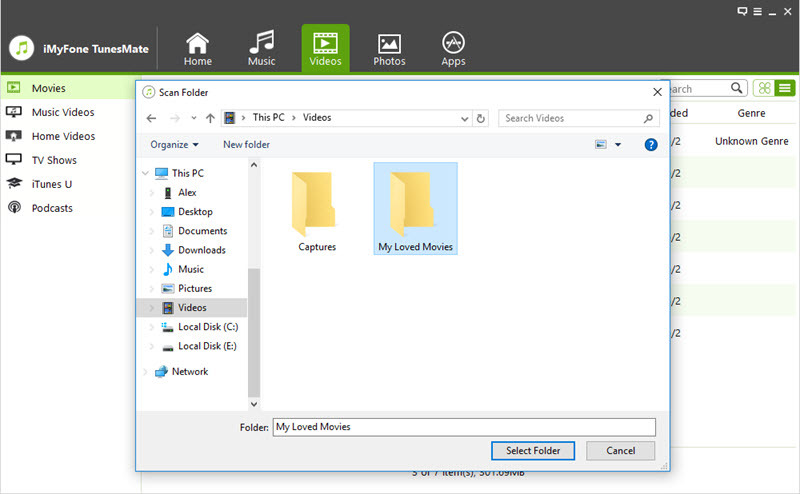 STEP 4: Select a preferred folder in your computer and click on"Import". This method is slow and you are only allowed to transfer videos that were taken with the iPhone Camera. Videos synced by iTunes cannot be transferred using the USB cable. 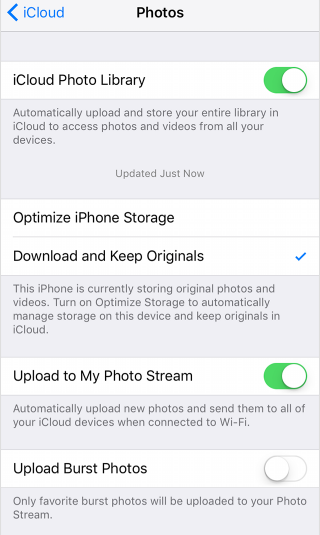 STEP 2: go to Backup storage and activate Backup to iCloud to upload a video on your device to iCloud. Click on Back Up Now to begin the backup. STEP 3: On your Mac computer, locate the Apple Menu and then select iCloud in Preferences. STEP 4: Login with the same Apple ID you used on your iPhone. Navigate to Photos>>>Photo Stream to export the videos to your computer. You must be connected to the internet to use iCloud. Emails do not generally permit transfer of files larger than 20MB. So you cannot transfer very large files with this method. This process also requires an internet connection. From all the above-listed methods of video transfer from iPhone to computer, the most favorable and ideal method turned out to be the iMyFone TunesMate method. 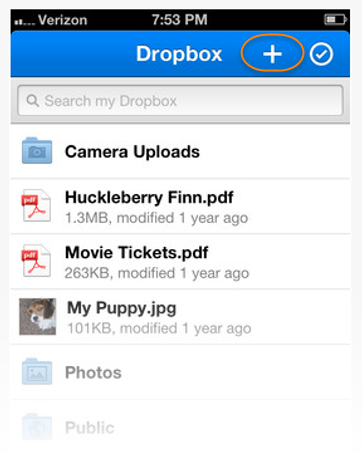 This file transfer method requires no internet connection unlike the others (Dropbox, iCloud and Email), there is also a precise category of videos that you wish to transfer. You can use it to equally send videos from your computer to iPhone. Apart from videos, you can also send other media like photos and music using the iMyFoneTunesMate software.